I’m absolutely thrilled to share an excerpt from a major summer thriller with CBTB readers today! SWEET LITTLE LIES by Caz Frear releases from Harper in August - and it sounds incredible. CBTB readers will know how much I love a police procedural - there are few things more satisfying than a really great crime novel pitting a police officer against a killer. 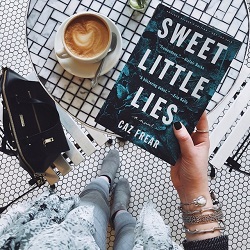 SWEET LITTLE LIES puts a modern, fresh twist on the procedural: from its stunning package to its compelling female lead, SWEET LITTLE LIES is poised to be the must-read procedural of the summer. This one is well worth keeping on your radar for summer reading! Denmark’s Queen of Crime launches a new series in the US next week with THE UNDERTAKER’S DAUGHTER (on sale February 6th) - and thanks to Grand Central, I’m thrilled to give CBTB readers an early chance to read the first two chapters from it! 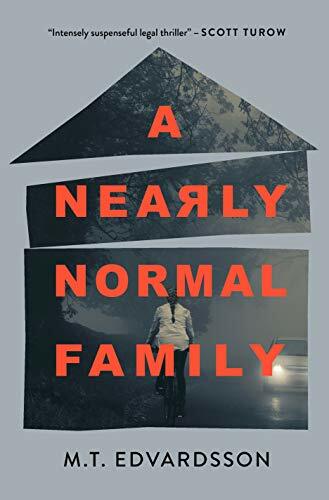 Blaedel, best known for her detective novels featuring Louise Rick, now branches out into a very different style of suspense writing—THE UNDERTAKER’S DAUGHTER shifts focus from solving crimes with Louise Rick to unraveling the family secrets of Ilka Jensen, a Danish woman with family in the US. Psychological thriller fans, mark your calendars: WHITE BODIES by Jane Robins releases in less than one month—and it’s a must-read. If you've already read my review of this offbeat and twisted story, you’ll know how much I loved it. WHITE BODIES is a breath of fresh air in the crime genre: it’s quirky, shocking, and genuinely addictive. Readers will be swept up in the story of Callie and Tilda, twin sisters with an unbreakable bond. But don’t just take my word for it: thanks to the publisher, you can read an excerpt of the book’s introduction and first chapter in this post! Read on for a plot summary and excerpt from WHITE BODIES by Jane Robins, on sale 9/19/17.